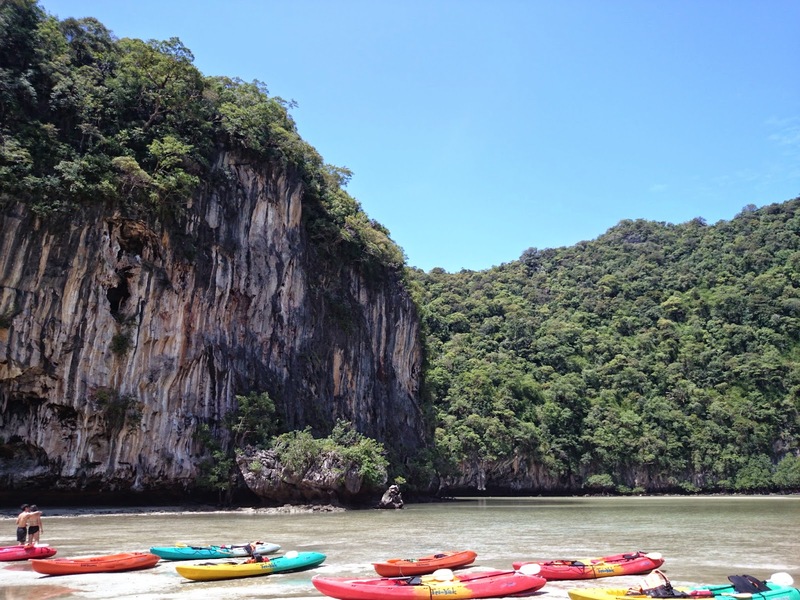 Krabi is located on the west of Southern Thailand, and is a good alternative for a beach getaway besides the overcrowded Phuket. In the midst of my summer vacation, I decided to take a break from my summer internship to head to (not-so)-sunny Krabi for a quick getaway. Upon arrival, we got on the bus after getting our tickets from the counter at the airport, and headed towards Ao Nang where the bus dropped us directly at the doorstep of our accommodation. We booked our stay with Ao Nang Homestay for a relatively cheap price. Mr Chang, the owner of the homestay, greeted us warmly and recommended us on which activities to do in Krabi. He transformed his house into a homestay so it's a tiny little place with limited rooms. Nevertheless, the rooms were spacious and cozy, and I love the homey feel this place gave me. As we wanted to head towards the beach, Mr Chang kindly got us a motorbike to rent and ride there (which we test ride on as I have never ridden a bike before). In the end, I figured I was not cut out to ride a motorbike and it was probably too dangerous for an unlicensed girl to be riding the bike around. We decided to walk down to the beach, which was just a straight path down. It was a 20 minutes walk or so, but we got to explore the town of Ao Nang along the way. 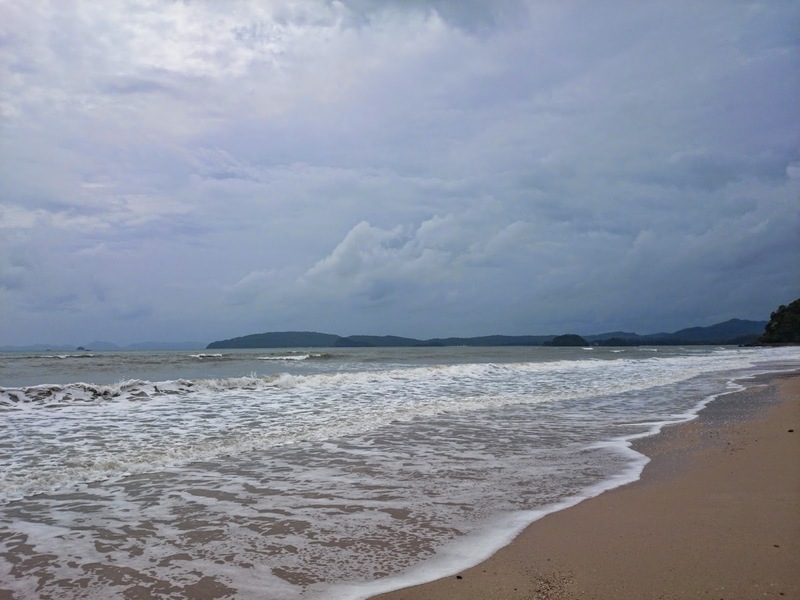 The beach was pretty empty for a Sunday afternoon, but I guess nobody really goes to Krabi during their wet season except us. After playing around with the sand, we decided to take the public bus to Krabi Town. 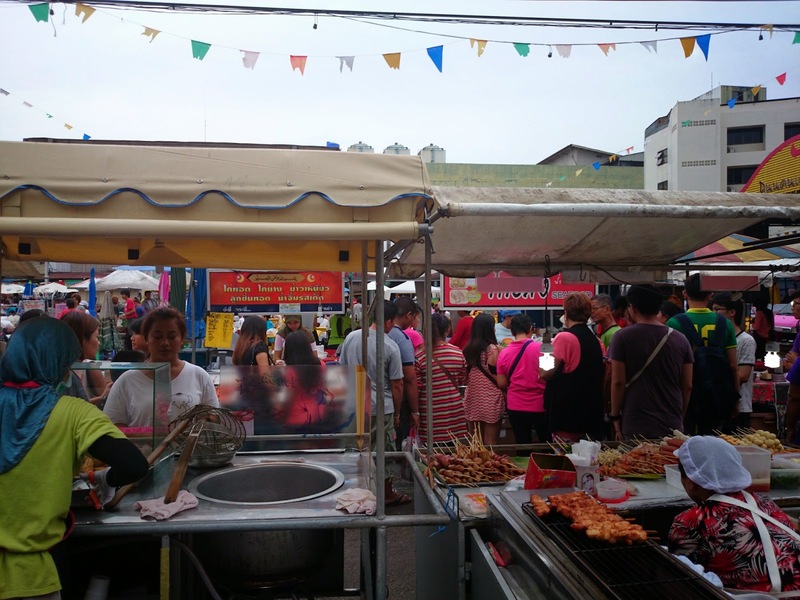 Krabi Town has evening markets on weekends and it happened to be a Sunday when we arrived. The bus was approximately 40-60baht per person. Krabi's bus is more of a van/lorry? 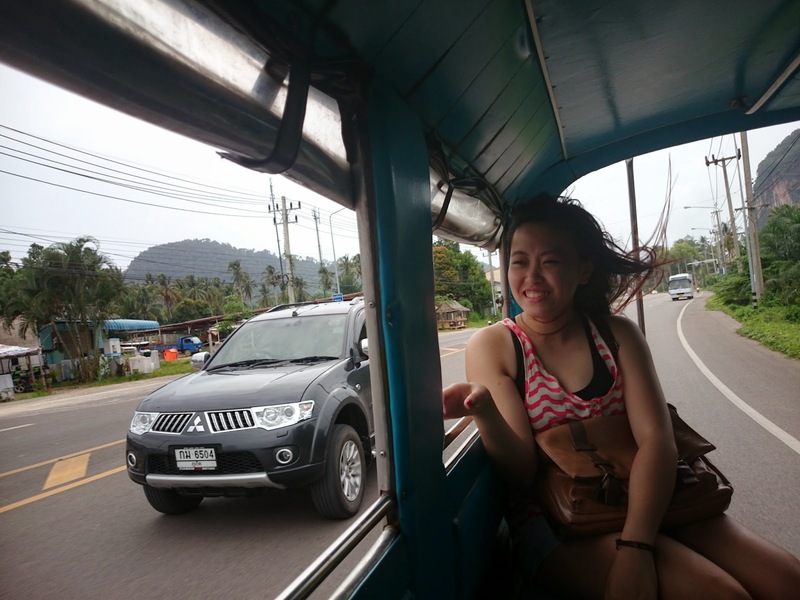 It was a 15-20 minutes ride down to Krabi Town from Ao Nang and our hair was blowing in all directions during the windy ride. The bus driver kindly dropped us exactly at where the weekend market was. 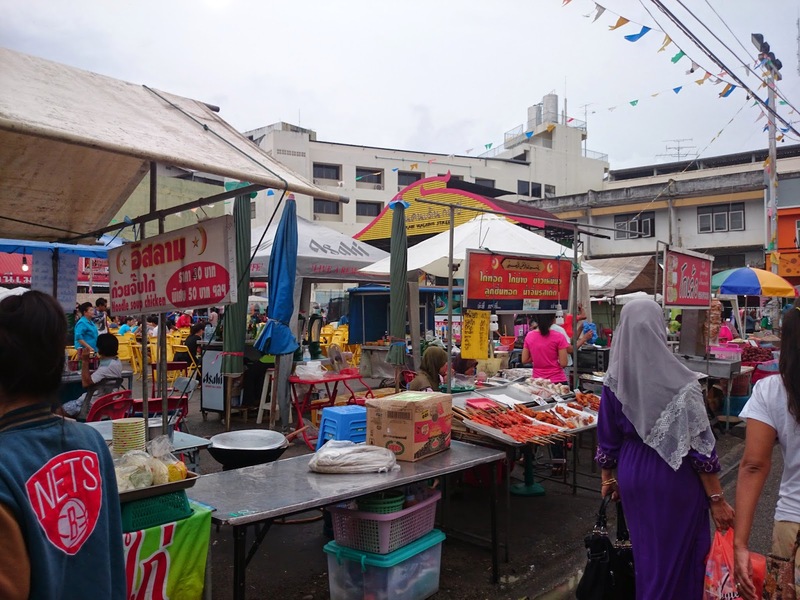 It was a short stretch of road with plentiful stalls selling all kinds of food. I didn't manage to find any fanciful food or loot there and came back to Ao Nang, feeling a little disappointed at the food. 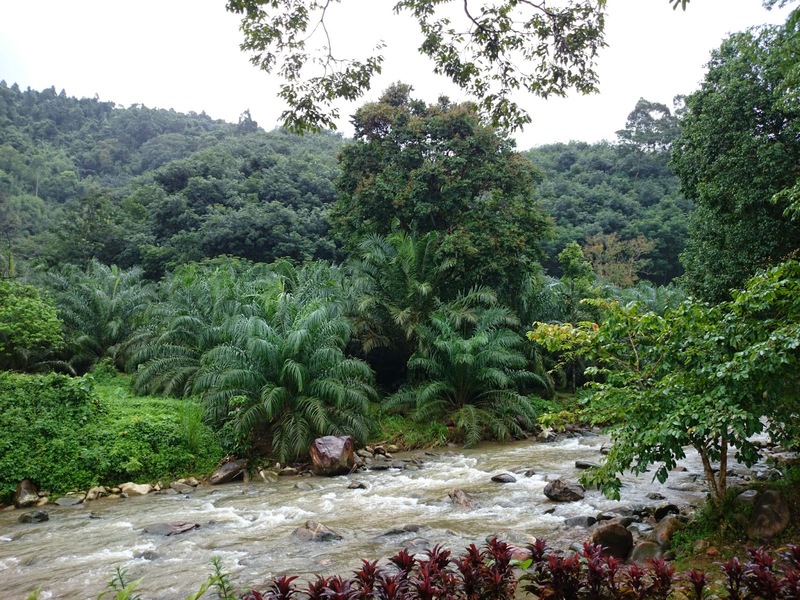 The next day, we booked a tour with our homestay owner and the transport came in the early morning to pick us up. We signed up for the 5km rafting and 1 hour ATV experience. The tour lasted the entire day, inclusive of lunch. It was a long 2 hours journey to the location. There were a lot of waiting time inbetween and we only spent 1/6 of the entire time doing the rafting or ATV. We changed into our wet clothes and put on the life vest. It was 4 person per raft and they had someone to help you steer the raft. We were all beginners so I'm really glad they have someone to help steer the raft. We simply sat on the raft, occasionally pretending to row the raft. 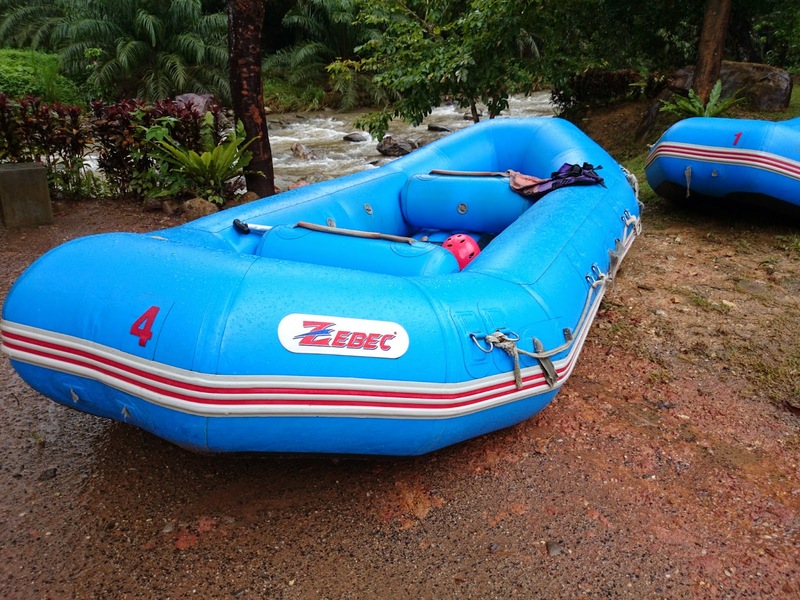 I'm a huge thrill-seeker so I truly enjoyed this rafting experience. To be honest, this rafting experience wasn't as thrilling as I have expected it to be, but it was still fun for the first time! After that, we had a simple home-cooked lunch which was surprisingly humbly good. Then, we continued lazing around after lunch, waiting for the next activity to start. The wait was excruciating. Finally after an hour and half, we were brought to the ATV location. I took a while to get used to the ATV and finally stopped stalling in the middle of the mud. An hour of ATV was tiring and I was glad we didn't get the 2 hours package. They have a guide who drove in front of us, while we followed behind. The only bad thing about this is that you can't really speed because there will always be someone in front of you. I like to slow down and wait till I'm falling behind to suddenly hit on the petrol paddle. After the hour, we were all muddy and dirty from head to toe. We quickly washed up and hopped on the bus to the last attraction of the day, the Monkey Cave Temple. Monkeys are my favourite animal and to be surrounded by so many intelligent creatures, it's intriguing. They were polite and waited for the tourists to feed them with food, unlike the ones you see in Singapore. They may tug at your bag of food but they'll quickly let go when they sense that you're not willing to give all the food to them at once. The ride back to Ao Nang after the tour was equally long. 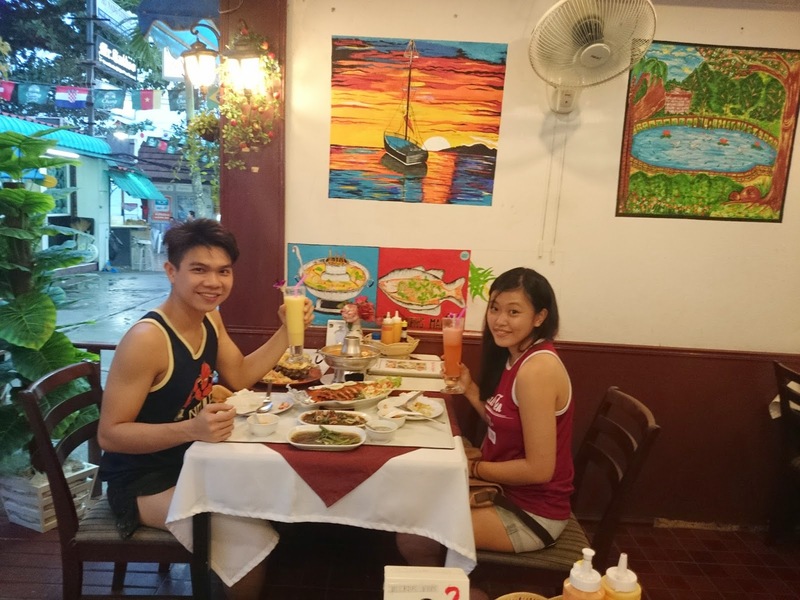 After arriving in Ao Nang, our starving stomachs brought us down to the beach side to look for a nice restaurant. Most of the restaurants there serves Thailand and North Indian food, and lucky for us, many of them were having discounts because it was the wet season and there were very little customers. We decided to settle for Noori India Restaurant because they were offering a set meal for 2 for only 590baht. I was dubious about the food initially as the place was empty and we were the only customers. The set meal comes with a huge steamboat bowl of tom yum soup, fish (you can pick how you want it to be cooked), pineapple rice, choice of vegetables, and two choice of drinks. All these for only 590 baht. Since it was pretty cheap, we decided to add in a plate of cuttlefish. When the food came, we were blown away. The bowl of tom yum soup was HUGE, and filled with plenty seafood. It was yummy. I also adore their pineapple rice to pieces. The food was definitely delicious and it's a pity they have so little customers. 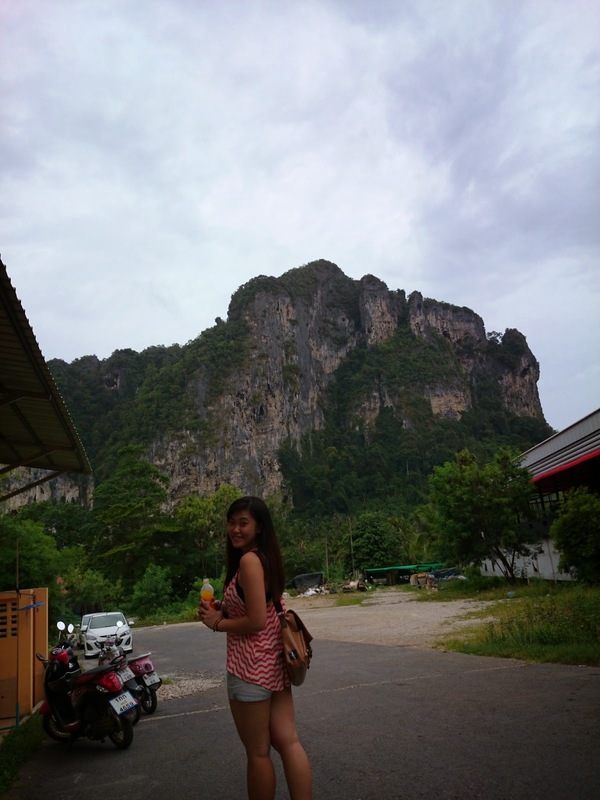 I would definitely return to the place if I were to return to Krabi again. The next day, we initially applied for the night snorkeling event but it got cancelled because the seas were choppy and the traditional long-tail boats can't head out to sea. So, we were stuck in Ao Nang beach for the entire day. We took a motorcycle taxi down to the beach because it was a pretty long walk. It was a lot cheaper than taking a tutu. We took the same motorcycle taxi so many times that the uncle immediately knows where we are headed to when we approach him the next day. Upon arrival, we took a dip into the inviting waters. The waves were huge and we were often swallowed by the big waves. Dinner that day was at the Seafood Street, at the other side of the beach. It was an expensive candlelight seafood meal by the beach side. I wasn't very impressed by the meal as it was super pricey as compared to the meal we had the night before. I even had space in my tummy for yummy delicious choco banana prata along the roadside outside FamilyMart, as we made our way back to the homestay. The next day, we were praying for our plans to not be cancelled again by the weather as we booked for the snorkeling and kayaking tour at Hong Island. When the bus came to pick us up at the place where we stayed, the driver reminded us that we may not be able to travel out, and if that's the case, they will refund us the money. There were a few people who pulled out from the tour because of the weather. We were lucky enough to proceed with the tour though we skipped an island as the waves were too choppy for the boat to reach there. The journey was quite nauseous due to the sea. This boy went to 7-11 early in the morning to grab breakfast, and more importantly, bread for the fishes. And we were surrounded by SO MANY fishes when we were in the water. They were biting all over us, and even tried to nimble our camera when the camera was underwater. We had a simple lunch which was inclusive of the tour before we went for the kayaking programme. The sea was choppy (I've mentioned this so many times) so we could not kayak round the entire island. We spent the time exploring the lagoon of Hong Island. My first starfish pet! It was crawling slowly on my hand. We also walked towards the mangrove where we were greeted with bat feces and bats hiding in the mangrove, away from the sun. It was another tiring day and by the time we returned back to our accommodation, the sky was dark. We decided to head to the restaurant next to the place we were staying as the owner highly recommended the place to us. This little place was surprisingly crowded, considering it's the low season and its location was out of the way. The food was very worth the price and it was really good, considering the exterior and interior of the place! It was a pity that this was the last night and we would not have the chance to revisit this place again. Mr Chang, the owner of the Ao Nang Homestay, kindly offered to drive us to the airport the next day for 600 baht. We checked with the prices outside (500 baht for a taxi to the airport), but decided to take his offer as we felt more comfortable. The hospitality of the accommodation was very welcoming and the owner gave each of us a souvenir when we checked out the next morning. Thanks for your kind offer. 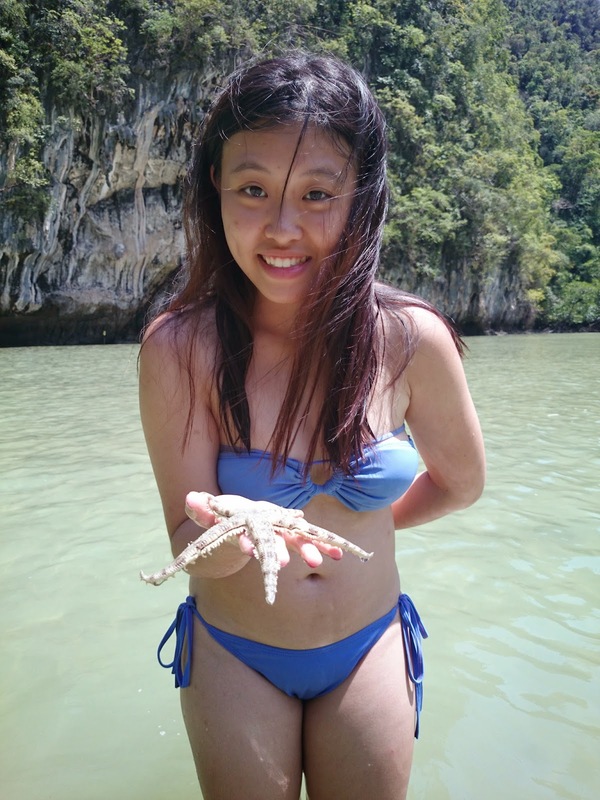 I'll be sure to contact you when I'm planning a trip to Krabi again! Michelle happy to read this article. How did you exchanged money on your trip? Before or on airport? Looking for reply. 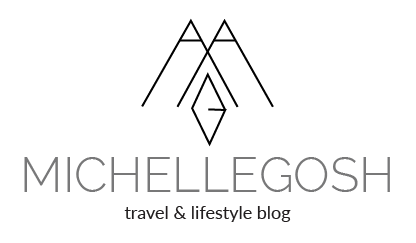 Hi Michelle, do you mind sharing the prices in sgd for the activities in particular the snorkelling, kayaking, whitewater rafting and atv ride? Hi LSY! Sorry for the late reply as I overlooked your comment! I can't exactly remember how much the activities cost. I think it's approximately SGD 150 - 200 in total. Hi, may i know where did you booked all the activities from? 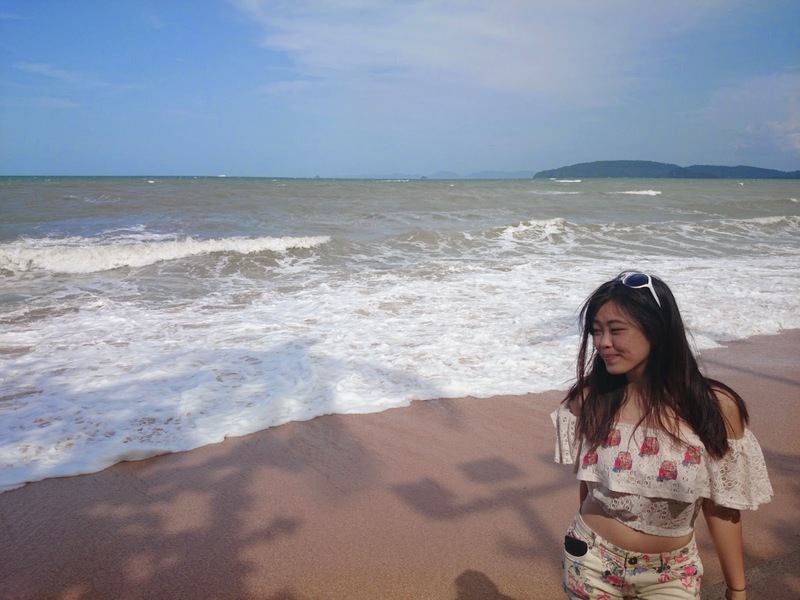 Hi, I booked the activities from my homestay host!